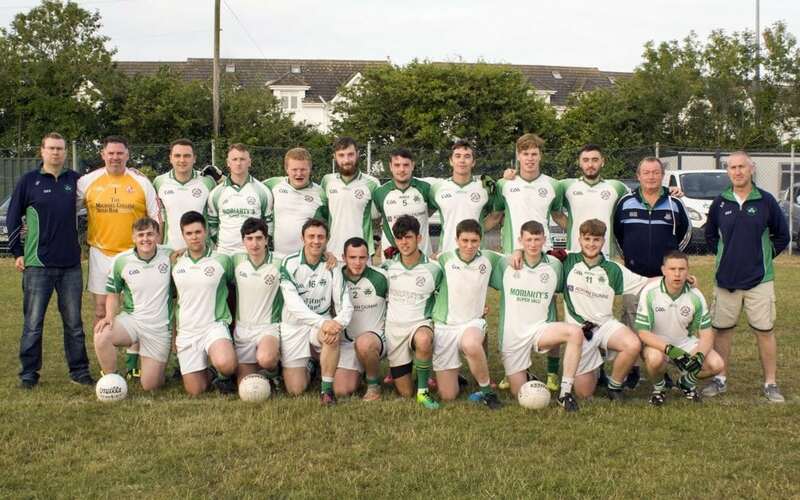 O’Dwyers Junior footballers took on Erin Go Bragh on a windy Fathers Day afternoon in St Catherine’s Park for the Mooney Cup final. A decent turn out of supporters from both sides gave the tie a very much Cup final atmosphere. EGB started the game at a blistering pace with some knife cutting runs with the ball from the half backs and mid-fielders, this made life much easier for the forwards as they peeled away from their markers to tap over the bar, after 5 mins of play EGB led 0:03 -0:00. Relentless pressure from EGB paid off as they scored their first goal of the game after 20 mins.O’ Dwyers battled away with some good football and made chances of ther own but scoring from play was obsolete as they only managed 3 points from frees. With EGB having a strangle hold of the game they led at half time 1:08 – 0:03.